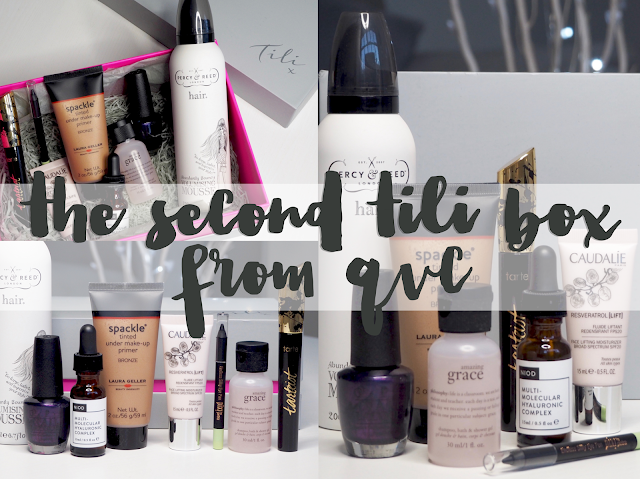 Like the first Tili box, you're getting 8 products from well known QVC brands and they're all either full or deluxe sample sizes. This edition has a retail value of £99, but the box still costs just £20 and postage is free. I was really impressed with the contents in the first Tili box, and it's good to see that wasn't a one off, as the second edition is another cracking box with lots of super desirable items. 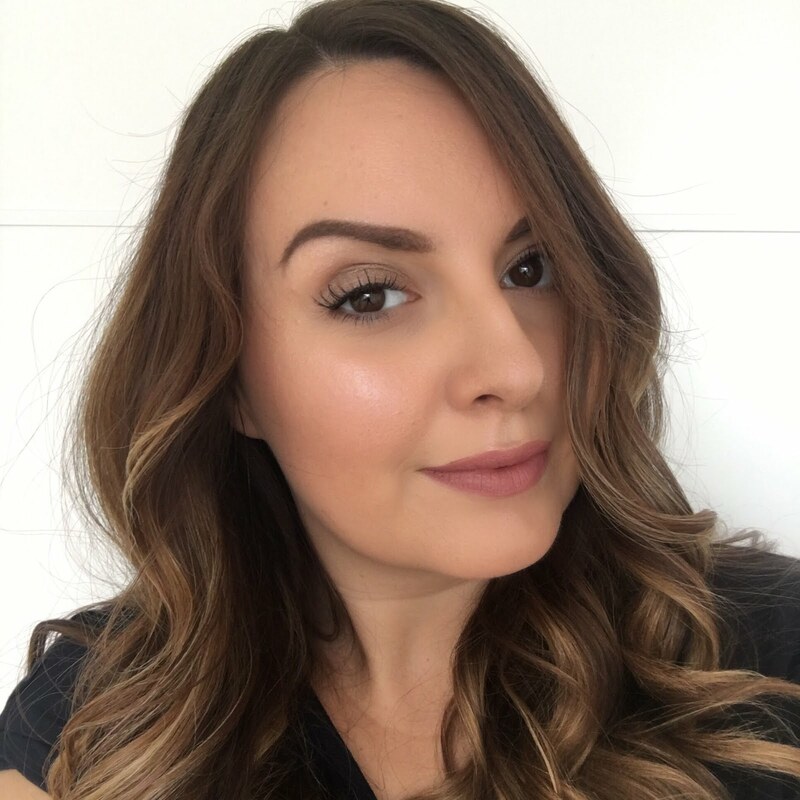 Now I already mentioned how excited I was to get my hands on the new Tarte mascara, so that's my favourite product, but I'm also really keen to try out Spackle after having heard about it for so long. OPI's Russian navy is also a great addition to the box - I owned this shade years ago and loved it until I used it all up - it's such a deep, dark, sophisticated shade. Also you can't go wrong with a Philosophy product in the box - Amazing Grace is such a lovely scent. 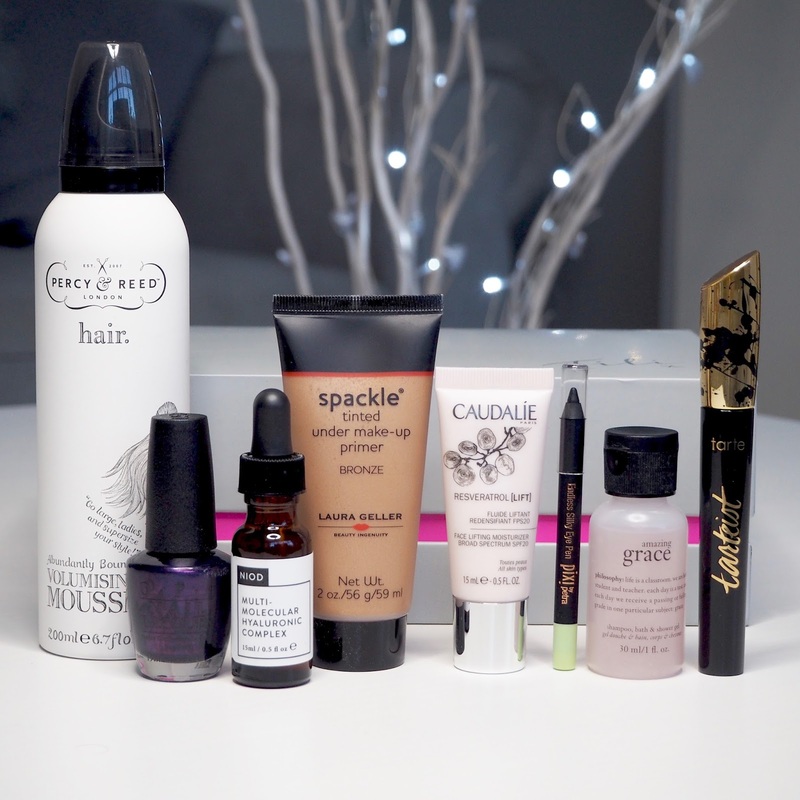 The other products are all new to me and I'm going to enjoy giving them a go. Sorry Mum, but I don't think I'm sharing this time!